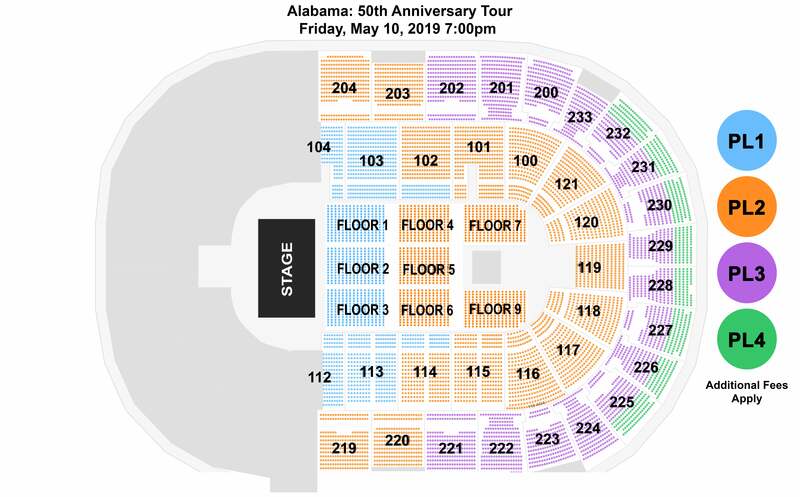 Alabama will celebrate their 50th Anniversary Tour at the Bon Secours Wellness Arena on May 10 with special guests The Charlie Daniels Band! Alabama members Randy, Jeff and Teddy left Fort Payne, Alabama 50 years ago and spent the summer playing music in Myrtle Beach at The Bowery. From humble beginnings picking cotton in the fields, the band has become international stars that have sold 80 million albums and have changed the face and sound of country music. Since Alabama’s start 50 years ago, the band has charted 43 #1 singles, including 21 #1 singles in a row, and have won over 179 CMA Awards, Grammy Awards, and ACM Awards. They are members of the Country Music Hall of Fame, have their own star on the Hollywood Walk of Fame and are celebrating with their 50th Anniversary Tour! Don't forget to arrive early and bring your clear bag to the show! For more information on the clear bag policy, click HERE.